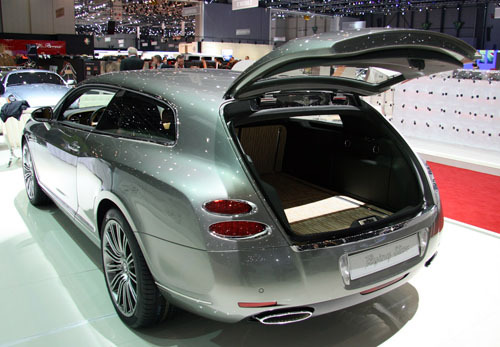 The very first Bentley Continental Shooting Brake is a fact. It's called the Bentley Continental Flying Star and is made by Touring Superleggera, the revival of Felice Bianchi Anderloni's Carrozzeria Touring. Here are the pictures from the Geneva show. Responsible for the Flying Star's design is the sympathetic, 32 years young Belgian designer Louis de Fabribeckers. The Continental Flying Star is based on the Continental GTC, which received a number of modifications from the A-pillar backwards. The car has been given an extended roof line, newly designed aluminium door skins, rear quarter panels, rear bumper, new tail lights and a new aluminium, electrically operated tailgate. It also includes a completely new rear compartment with two foldable rear seats and a variable loading space. 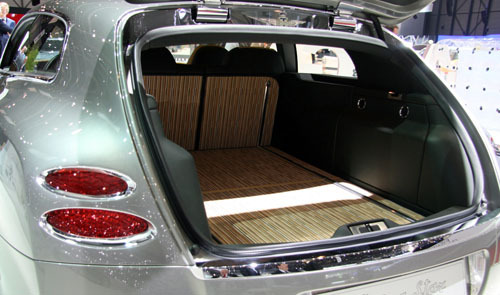 The rear chassis structure has been modified to obtain a completely flat luggage compartment with the rear seats folded down. The Bentley Continental Flying Star is available either in the 560hp/650Nm version or the GTC Speed variant which delivers 610hp and 750Nm of torque. Touring Superleggera intends to build a limited run of 20 units, built to special order and according to customer specifications. The Flying Star is offered at a basic price of €590,000.- when based on the 560 hp Continental GTC version. Would there be enough space for you and your mistress to sleep in this Flying Star? Then all that Touring has to offer next is a glass roof for counting Falling Stars. Like in a tropical forest: sleeping on bamboo. The Flying Star name is a well known designation from Touring's past. It was used to name several convertible bodies on Alfa Romeo and Isotta Fraschini chassis. 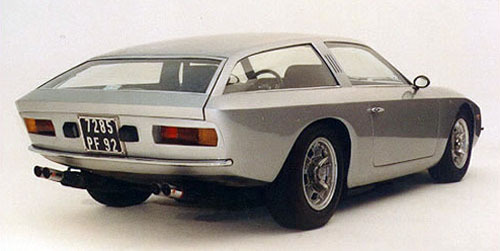 The last Touring car to bear this name was the one-off Lamborghini Flying Star II from 1966. Also a Shooting Brake. It was the very last car to roll out of the workshop of the original Carrozzeria Touring. 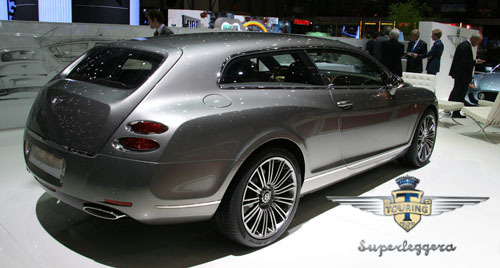 The Flying Star is not the first attempt to bring a Shooting Brake version of Bentley's Continental GT to the market. 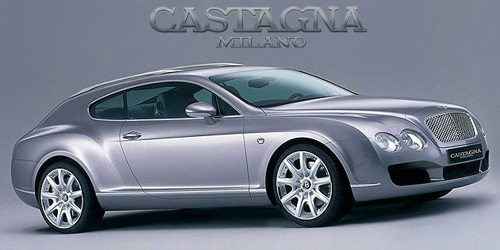 Back in 2005, Castagna (also a revived coachbuilding house) presented a Photoshop picture of how they envisioned a Bentley Hunting Car. As far as we know, none were built. If you're in need of more luggage space and more legroom for your family, then you could order Touring's Maserati Bellagio Fastback, but if you don't like Italian cars, there's also the possibility to get yourself a slightly bigger Bentley than Touring's Flying Star. 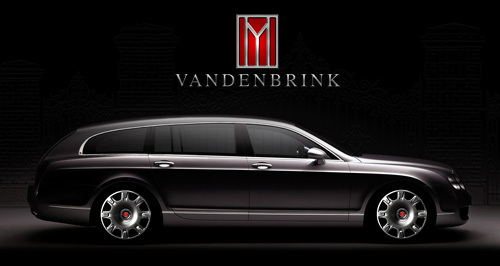 Just bring your four-door Bentley Continental Flying Spur to another 32 years young designer, Michiel van den Brink and together with Hietbrink Coachbuilding in the Netherlands, he can build you a Flying Estate as shown below. 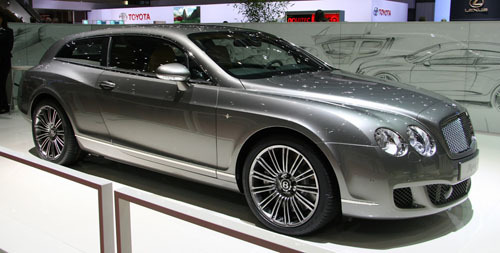 Click here for more pictures of the Touring Bentley Continental Flying Star. Discuss the Touring Bentley Continental Flying Star in our FORUM.